The largest of the Elizabethan classes, the yeomen were equivalent to the modern-day middle class. This class, like gentry, was also peculiar to the English Society. The yeomen could be farmers, tradesmen and craft workers or hired help. They were people, who lived comfortably but were not rich enough to be considered as the gentry. The yeomen were a prosperous group, but unlike gentry who lived like lords, the yeomen were content to live more simply. They, usually, were literate. The yeomen were further divided into various sub-categories. The first sub-category was of land-holding commoners, who were classified as: Freeholders whose land was passed down hereditarily but they paid rent to the gentlemen. Like Landowners, they couldn’t be evicted from the land. Leaseholders leased the land, for long periods at a fixed rate, after which it was renewed with changes in rent. The arrangement, also, could be completely terminated, with notice. Finally, Copyholders who paid rent to live on a land, but without a lease. Their rent could change or they could be evicted, at any time. The second sub-category included traders and craftsmen, who were classified as: Townsfolk, people who lived in towns and were mainly merchants or craftsmen. Masters owned their own business in a trade or craft and took apprentices under their guidance. Apprentices started their apprenticeship to a master in their teenage years, and learned a trade or craft. After seven years, an apprentice could become a Journeyman. They were, then, free to sell their services in craft or trade. The Clergy, who worked in the Church, were a separate class, but their social status was equivalent to that of yeomen. The third, and the final, sub-category included the lower workers like Servants who worked as hired help, like waiters, governesses or tutors, who were usually treated like a part of the family they were employed to. Service was often the first step to a better social position. The hired laborers, also known as Husband-men who, usually, lived in one place and worked for wages, and migrant workers who went from county to county, wherever there might be sheep to shear, in the years of bad harvest. Cottagers who grazed the community cattle were also included in this group. The poor and the unemployed were the bottom-most rung of the social ladder. They could be anyone – children, widows and abandoned wives, sick, disabled and elderly or soldiers unable to work because of war-wounds. There was far more poverty under Elizabeth, mostly because of enclosure. Land enclosure meant that the individual peasant farmers were evicted from their lands, in order to create larger and more profitable farming units which required fewer people to work on them. Thus, many people who had lived and worked in the countryside suddenly found themselves without any means of livelihood and, in many cases, evicted from their homes. In earlier times, the church, notably the monasteries, had cared for the poor. 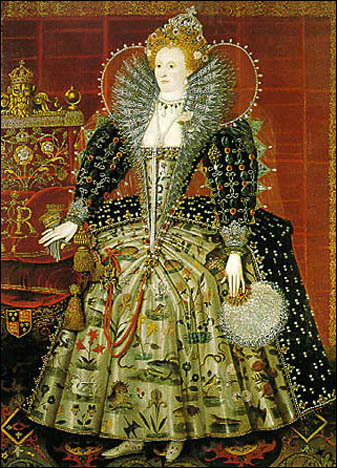 Under Elizabeth I, the government undertook this job. Thus, the famous Elizabethan Poor Laws, one of the world’s first government-sponsored welfare programs, were brought into practice. At first, the programs were financed by contributions from the wealthy. When this proved inadequate, a poor tax was levied on everyone. The Poor Laws had three aims: Firstly, those unable to care for themselves were placed in hospitals or orphanages. Children, when they were old enough, were put out as apprentices to craftsmen. Secondly, the able-bodied who could not find jobs were put to work, in workhouses established in the towns, making goods for sale – such small items as candles, soap, or rope – in exchange for a place to sleep and enough food to keep alive. The final goal was to discourage rogues, vagabonds, and sturdy beggars. 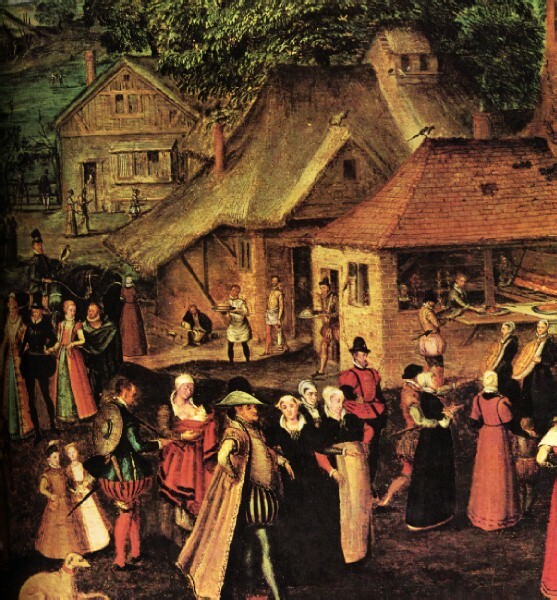 The Elizabethans made a clear distinction between those who, for some reason, were unable to work and those able-bodied people who refused employment. They were appalled at the thought of people wandering about with no respectable occupation. To refuse to work for wages was an offense punishable by law. If vagrants refused work, or escaped from a workhouse, they were caught, whipped and returned to the parishes (church areas) of their birth. If they escaped again, they were “burned through the gristle of the right ear with a hot inch-round compass.” If, for the third time, a vagrant was found to be unemployed, the punishment was death.